Custom Software Development process is a premier web business solution in building various domain-specific websites by integrating, migrating, and configuring open source web services. Omkarsoft offers Custom software Development services to develop custom-made software applications that are built to fit into your environment. We provide economies of scale for clients and creates a single point of obligation. No matter how small or established your business is, we will be happy to assist you at every stage of the software development. 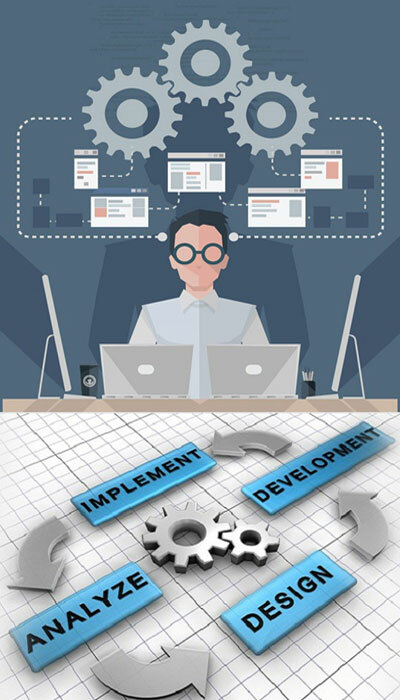 Due to the rapid development of circumstances in the web arena, in order to run successful Custom Software Development business in India, it is of significant importance to introduce innovative ideas, innovations in the world of marketing trade, and specific solutions to rapid development of websites and available web services. Omkarsoft software development services allow you to process high-quality, demanding jobs of web marketing, application development, customization, and social media integration services. We offer complete end-to-end and cost-effective custom software solutions. We have highly qualified, technically proficient, skilled and experienced team to handle the projects. We follow proper software development processes, which help to deliver effective and secure solutions at agreed milestones and timeline. Our first choice of business is always concentrating to develop flexible and scalable application architecture, integrating business logics, presenting our clients with amazing new generation applications. In this fascinating vision, we thrive to keep up with the project timeline, completely dedicate to the tasks that are set before us, and provide complete satisfaction to our clients. For more information about available services, please feel free to contact us – we will do our best to meet your needs and requirements. Our highly experienced team of custom software development programmers and engineers will help you, and to go that extra mile to provide any custom software design adapted into your business modules.